Add a little extra sparkle to someone's Christmas tree with our intricately beveled glass ornaments. Perfect for any decor, these pretty ornaments include a gold ribbon hanger. Add a personal message for a gift they�ll long remember. 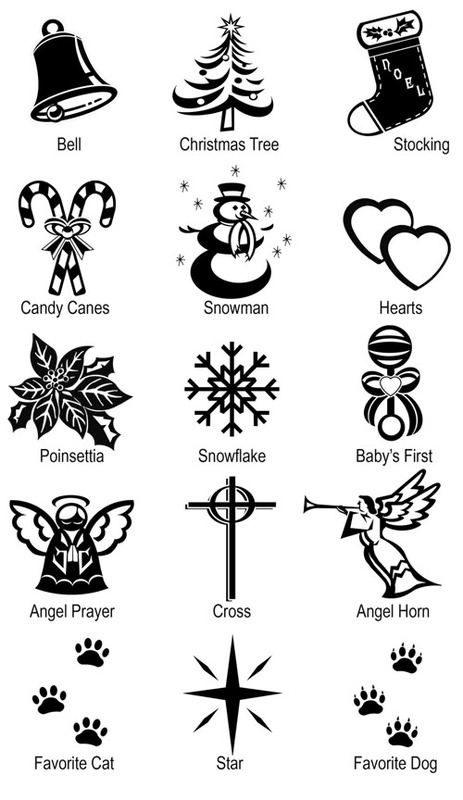 Each ornament can be personalized with up to three lines of text with up to 15 characters per line. 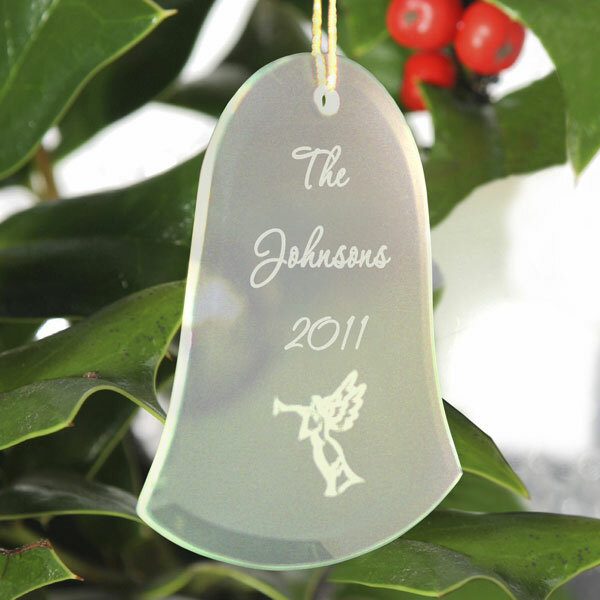 In addition we can engrave the holiday image of your choice below the text engraving. Ornaments are blank on the reverse side. Which Holiday Image do you want?